I just created a recipe for mini meatballs that uses quinoa instead of breadcrumbs (the recipe is gluten free). It looks kind of strange and there is that slight crunch from the quinoa. I thought I was not going to like it because it really is not a meatball but rather a vegetable ball with ground turkey. But, as I have been thinking of how different they are, I keep eating them. Rinse quinoa. In medium saucepan, add quinoa and broth and cook according to package instructions until all liquid is absorbed. 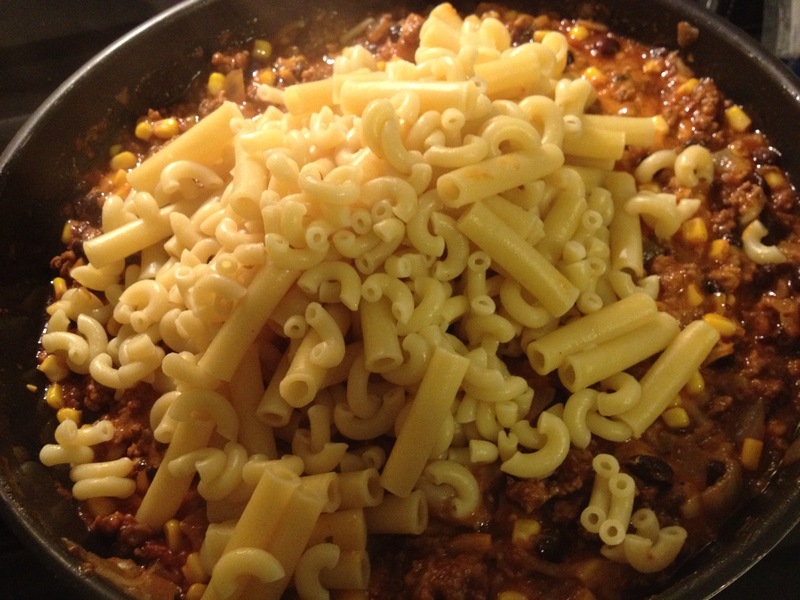 Toss with fork and put in large bowl to cool. Meanwhile, peel and dice eggplant. In heavy skillet, preheat pan on medium heat. Add oil to coat the bottom and add eggplant. Stir frequently. Dice onion and add to pan. Continue stirring frequently. After about five minutes add garlic. Remove from head. Add diced red pepper, parsley, thyme. Salt and pepper to taste. Cool a few minutes in pan then add to large bowl with the quinoa. Toss lightly every few minutes to cool. 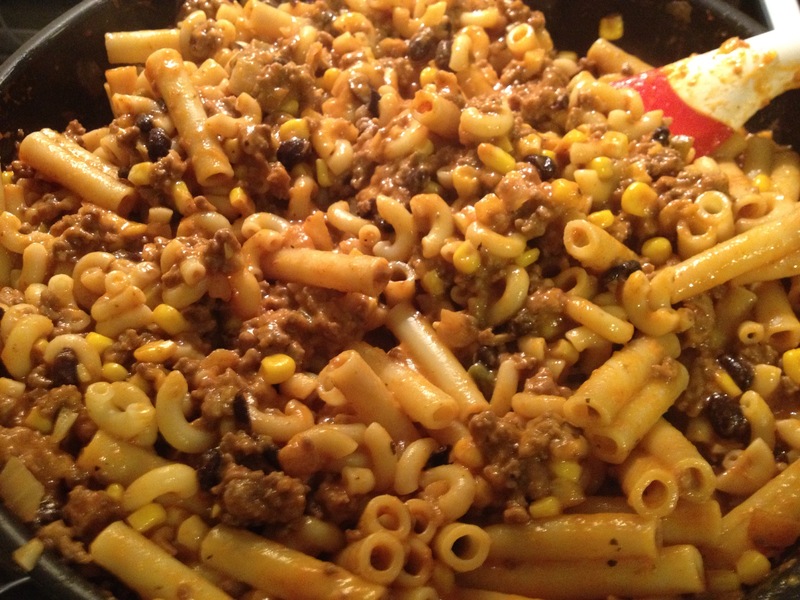 Add ground turkey, grated cheese and egg. With clean hands mix all ingredients together. If it is too dry, add another egg. If it is too wet, add more cheese. Line a heavy baking pan with foil. Drizzle olive oil on foil. Add about ¼ cup Extra Virgin Olive Oil to a small bowl. With a tablespoon cookie scoop, scoop out 20-24 balls into oily pan. Dip fingers in oil and rub on opposite palm. Repeat with the other hand. Roll ball lightly and put back in pan. Oil hands about every three balls. 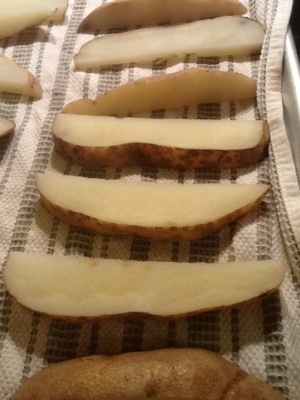 Broil until crisp on one side. 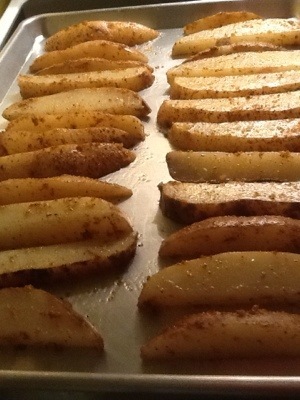 Gently flip and broil until crisp. Gently remove from pan, add more olive oil and repeat until done. Makes at least 50 small balls. I am still deciding what kind of a dipping sauce I would like to use. These would make a great hor d’oeuvre with a cup of toothpicks and some tomato vodka sauce. I was also thinking of making some orzo, tossing it with olive oil and heating some jar tomato sauce for a delicious entree. Mix all dried ingredients in a bowl with fingers rubbing herbs to get the essential oils. In 13” x 9” glass baking dish drizzle about 1 TBSP D’Avolio Milanese Gremolata Olive Oil. With clean hands, rub oil around dish. Place chicken breasts in dish and coat with oil. Sprinkle half the dry mixture on chicken and rub. Flip chicken and repeat rubbing chicken well with mixture. Place in 400F degree oven for about 25 minutes until cooked through and juice is clear. Remove from oven, cover tightly with foil and cool. Either slice in strips or store chicken in well sealed plastic container and refrigerate. The strips make a great lean protein snack. Make these up over the weekend for use during the week. Burger joint fries made in your oven! Put a large pot of water on to boil. Preheat oven to 425 degrees. 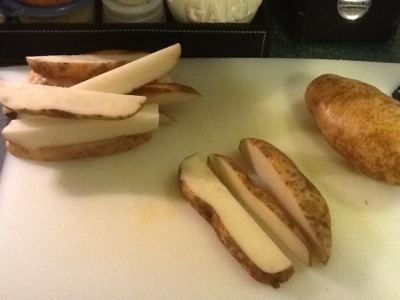 Meanwhile, scrub 2-3 russet potatoes. 2 large potatoes makes more than enough fries for three people. 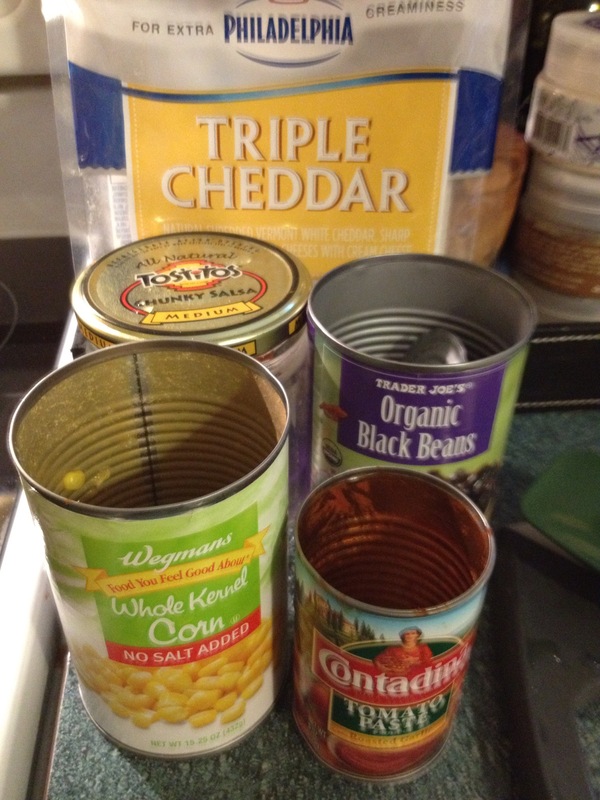 Cut in half, cut each half in half then each piece in half again. 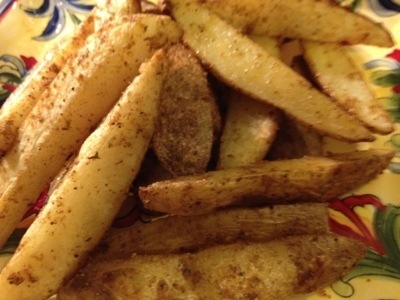 Each potato makes eight large fries. Boil in salted water for two minutes. Put dry potatoes in a large bowl. Drizzle about 3 tablespoons of olive oil and toss with your hands. 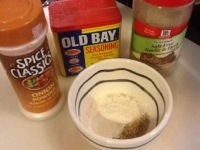 Sprinkle with seasoning (Old Bay, garlic powder, onion powder). Lightly grease a cooking sheet with oil and rub around with your hands. 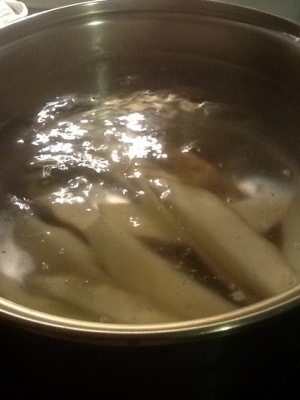 Put fries in a single layer on sheet and cook at 425 for about 20 minutes until brown turning once. 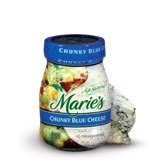 Sure these are good with Ketchup but give a good blue cheese like Marie’s Chunky Blue Cheese a try. 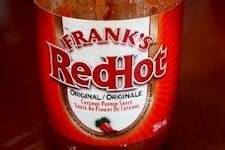 For extra zip shake a few sprinkles of Frank’s Hot Sauce for Buffalo Style Fries.